Home Uncategorized ICANN is important to us; lets understand each other! 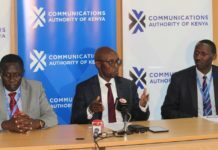 There is no doubt that Kenya and Africa in general will benefit from holding the ICANN meeting, the region still suffers from elementary problems; from policy makers who understand little about redelegation of domains apart from shouting hard, to the public that has misconceptions about their own Top Level Domains. My position has always been that ICANN has a role to play, and it would help if ICANN understood the region more. With all due respect, I spoke to Rod Beckstrom, ICANN CEO and president, at the meeting in Seoul and it was clear that he needed to understand the region more, what the issues are and the nexus with ICANN. I even told Brad White, ICANN media Director that by the time the Nairobi meeting is held, he should discuss with the boss more about the issues or atleast read my interview with Ann Rachel, just to make sure that at the end of it, issues concerning the region with be given prominence. Yes, ICANN cant go out of its way but it would help very much that in his usual press conference, which in this case will have many local and regional journalists, (I hope), the CEO can connect our challenges with the opportunities at ICANN and that can only be done if he understands the issues well. But there is always time, and we all have a role to play. To some extent, the ICANN folks can not help us much in some of the problems, they require policy direction, investment, and consumer education. So, even if the whole government goes to an ICANN meeting, if you have not solved some of those problems, there is little that people can do. I recall at the Cairo meeting, the late Ndukwe Kalu, from Nigeria, stood at the public forum and told participants of the problems that Africa was facing and that we needed help. The participants, who are usually busy on their laptops, stopped for a moment, then went back to normal business and no one actually responded to Kalu. Why? Because most of that has very little to do with ICANN; its the government and the IT industry to do 90 per cent of the work. Then there is the thorny issue of redelegation of African domains, most African countries have complained, whined and all that, yet the TLDs are still a mess. Why? Because most of them are yet to make meaningful investments in critical infrastructure. So, for the meeting to be in Nairobi, I am sure it will raise awareness on some of those issues, the issues that ICANN can help and what it can not. It will also be an opportunity for technical training for Africa’s technical managers, for instance, AfTLD will be holding its meeting and training a week before. It will also be a networking opportunity, and am sure some of the registry managers from the west, may feel compelled to help in one way or another. After all, they will be our visitors and according to African traditions, we treat visitors well because you just never know when you might need their help. Yes, the meeting will have its positives but am in no way saying that the security situation should be ignored. Yes, it is important to me too, I have had my share of insecuruties, and I live with them every day, but life goes on. It is actually very safe at the 5-star hotels, the problems maybe in my neighborhood, where the unemployed youth and wannabe thugs terrorize the residents, you will have none of that because even in my neighborhood, we have security measures in place! But no one can guarantee me that I will not be mugged! Yes, I am sure the police force will be on major alert and they will pour more cops on your that you can handle. But taking the meeting to Gigiri at the UN complex is no solution. In my Gikuyu language we say “Mbura itekura igwatagia ruhuho” loosely meaning that that if its windy and rainy, then the rain might just not be sufficient and the wind will serve as the excuse. In this case, if ICANN does not meet our expectations, because am sure there are expectations, then the security issue may just be an excuse. For instance, if ICANN does not draw the usual 1000 participants, it might say, ohh you know of the security situation in Nairobi bla bla bla…. Believe me when I say, Nairobi is safe, and people go on with their business as usual. By the time ICANN is held, the issue of the Jamaican muslim cleric might be solved, maybe the government will work out a way to repartriate him. So, ICANN is important, but so are we! We are in Kenya, we are not planning to move, people are holding international meetings every day. I think I can rest my case!